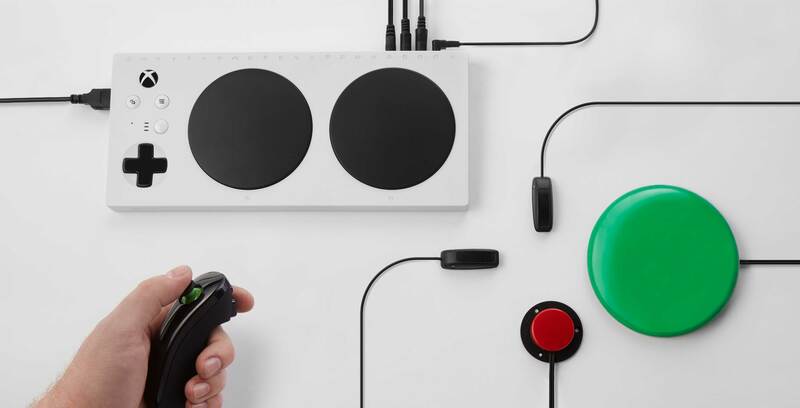 Microsoft has officially revealed its Adaptive Controller, a gamepad that’s been designed with specific accessibility needs in mind. The new controller is a bulky and slab-like, with two huge buttons on the front of the device, making them easier to hit. The gamepad also features a plethora of 3.5mm jacks along its top edge, allowing users to plug in more buttons to help with specific accessibility needs. There are also two USB ports, letting users can connect a couple of joysticks to the gamepad. The controller was developed in a partnership with a few organizations such as The Able Gamers Charity, The Cerebral Palsy Foundation and SpecialEffect. “Our goal was to make the device as adaptable as possible, so gamers can create a setup that works for them in a way that is plug-and-play, extensible, and affordable,” said Phil Spencer the head of Xbox, in a recent Xbox Wire post. The controller is set to retail at $100 USD, but gamers will also need to buy additional accessories like joystick and a few more button attachments. Xbox says that the device will be available for pre-order soon but there is no set release date yet. Microsoft’s accessibility controller leaked earlier this week. Speculation indicated that Microsoft had plans to showcase the controlelr at E3, but instead the company revealed the gamepad on Global Accessibility Awareness day.